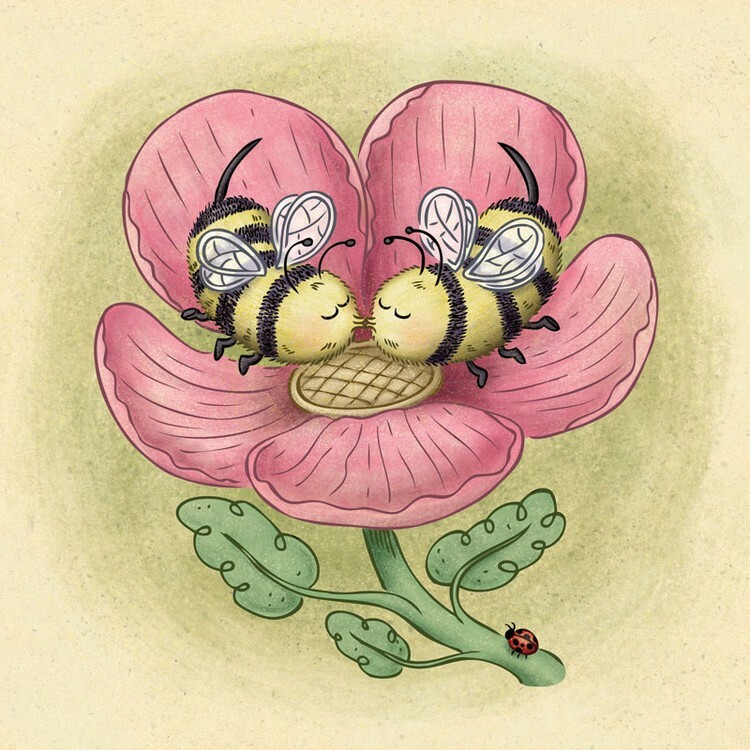 Two cute bees kissing inside a spring blossom. Oooo! Super cute and full of whimsy....love it! Really cute and whimsical. Queen bee in hive will not be happy if she finds out they have been kissing instead of gathering pollen. TOO CUTE. AND LIKE YOUR LADY BUG ADDITIVE.